Important note: the most updated version of Wireshark is available in https://www.wireshark.org/download/automated. This version is based on the development branch and contains all the latest improvements and bugfixes. We have two ways to modify these coloring rules. Method 2. 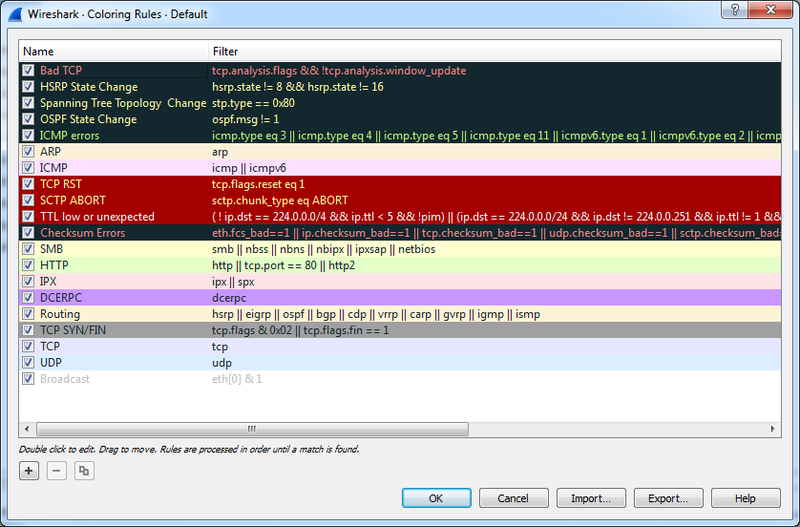 Modifying the "colorfilters" file. The resulting file is attached in case you prefer to simply download it and replace your current one. Remove the .txt extension if you do so. If you experience any issue when changing the coloring rules, please email support@rti.com.